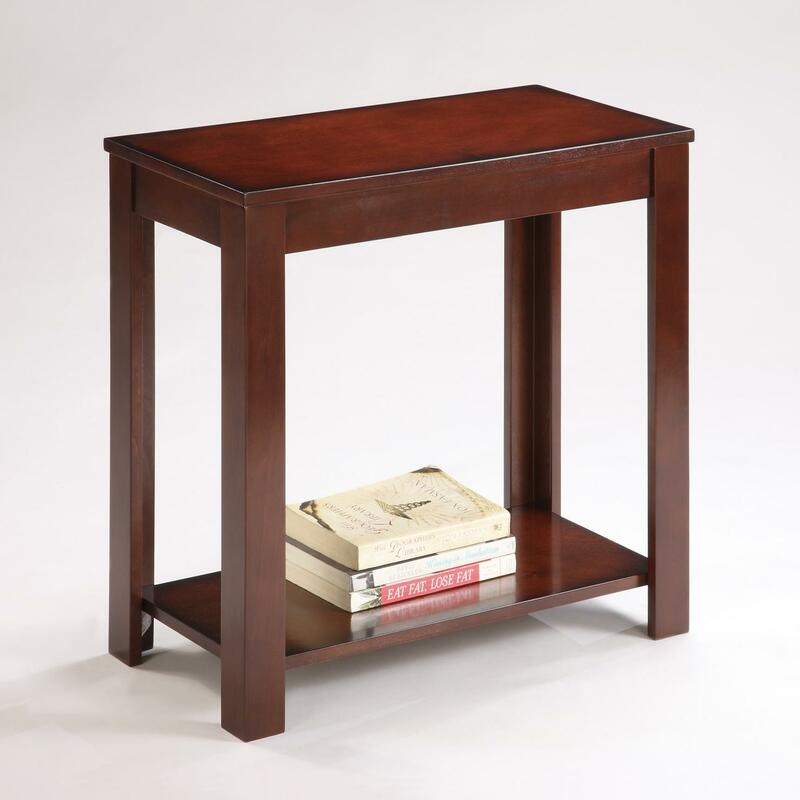 Rectangular in shape, the Pierce Chairside Table is a lovely accent piece for your home. Featuring a warm brown finish, it emanates comforting tones for a casually refined look and feel. A flat table top provides the perfect space for placing a lamp or other home accents, while a lower inlay shelf offers room for magazines, books, or other accessories. 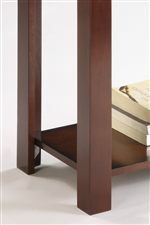 Structurally sound with clean, straight lines, discover the joys of simplicity with this chairside table. Pair with the 3-Pack Cocktail Set to complete your living space and uplift your home. 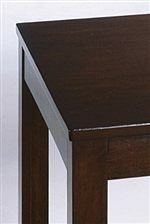 The Pierce Pierce Chairside Table with Inlay Shelf by Crown Mark at Sam Levitz Furniture in the Tucson, Oro Valley, Marana, Vail, and Green Valley, AZ area. Product availability may vary. Contact us for the most current availability on this product. Wood & Finish Features a warm brown finish. The Pierce collection is a great option if you are looking for Casual furniture in the Tucson, Oro Valley, Marana, Vail, and Green Valley, AZ area.